Psst... The Big V-Day is in one week!! Do you celebrate it?? In general, my husband and I don't. He's more of an "acts of service" romantic than anything else (aka- I picked up dog poop and took the trash out- see how much I love you! ;) ). So we always agree not to do anything but I love giving. So I fail and end up scrambling last minute to do something for him. Even if it's just a little note, I have to do something. Well, no more scrambling ladies! Today's Hump Day Pattern Pick Me Up will help you make awesome Valentine's Day gifts not just for your man, but for all the loved ones in your life! Today we are featuring Stitch Upon a Time (SUAT) who has one of my all-time favorite Boxerwear patterns! 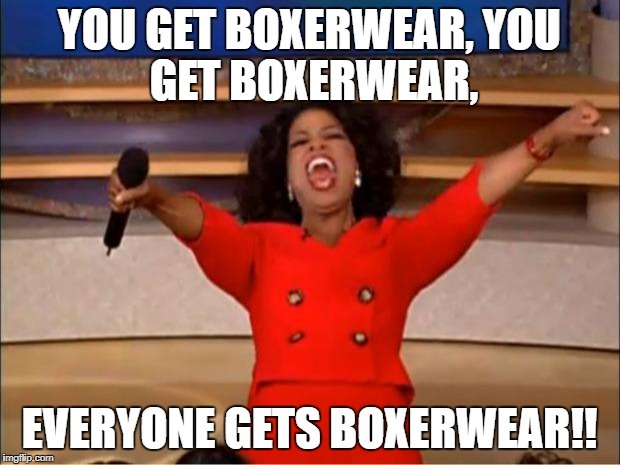 It's not only husband approved, but they have have a Boxerwear pattern for kids and woman too! Don't just think little boys, they are great for girls as well (especially under skirts)! All of the patterns come loaded with options including hem length, rise length, elastic/knit bands, functioning fly or no fly, hidden seams, and more! My Hubby says they are the most comfortable underwear he has! The best part- SUAT has so generously offered all of us Rockerbye fans a 25% off coupon to use on any boxerwear pattern! They are also giving away a free pattern of choice (Raffelcopter below). What are you waiting for?? Head on over to SUAT and grab your discounted patterns using the code Rockerbye25 before it ends on 2/13! (note- code does not work on the bundle). For some extra inspiration, check out this other awesome pair of boxerwear from Shady Pines Stitchery . Sarah got extra creative and used a panel for the center and it came out amazing! Also- SUAT not only has amazing Boxerwear but they also have Scrundies and Bunzies that are a HUGE favorite in the sewing community! How cute are these little Scrundlwear by the Talented Jessie Lynn, one of our amazing strike seamstresses? Let us know what you think and don't forget to share your amazing Rockerbye Creations on our facebook page! Happy Sewing!